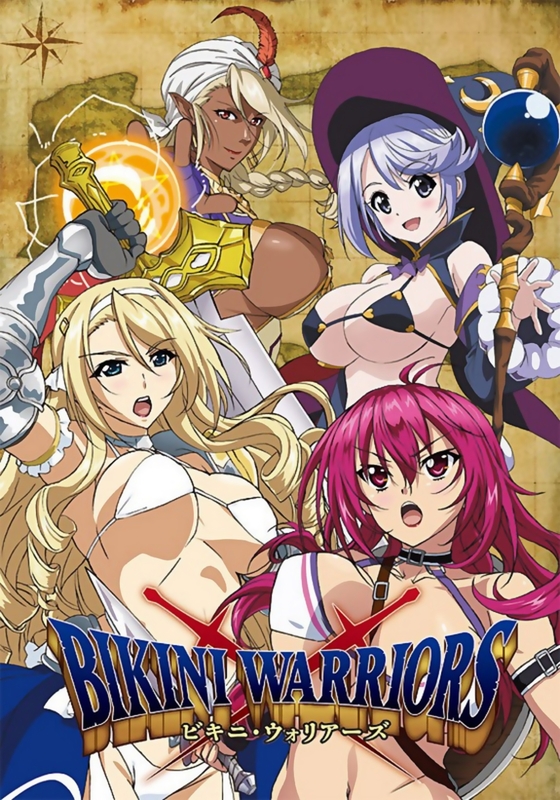 0 Bikini Warriors is a series of twelve, four-minute shots that came out back in July of 2015. The story follows four, well-endowed women. The brave fighter, The absent-minded Paladin, The meek mage and the exotic Dark Elf. However different they may be, they all share the same naive incompetence. They will face the struggles of financial funding and reoccurring defeat, all while wearing questionably scant armour. My Review: Short enough to watch in a less than an hour, Bikini Warriors offers a short reprieve from the serious side of entertainment. And instead, provides us with several bite-sized pieces of pure fan service, one step off being counted as a TV series. If one can manage to take the show serious for more than a second, you will see an entertaining parody of RPG genre of games, but that about it. I rate this anime 2.5/10. I am partial to eye candy so I rated the show higher than you. The gags are funny and even when they miss it’s not a big deal cos the episodes are so short. Fair enough, I can definitely appreciate where your coming from.